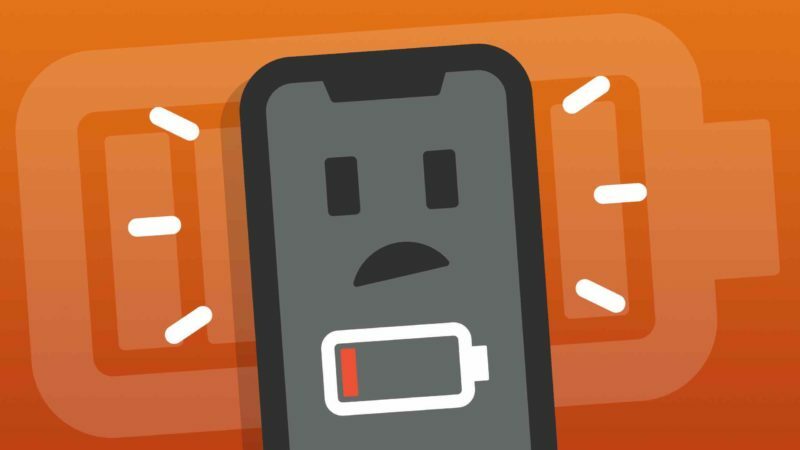 You are at:Home»iPhone»Battery»Why Does My iPhone Battery Die So Fast? Here’s The Real Fix! The vast majority of iPhone battery issues are software related. Your iPhone tracks and records your location everywhere you go. That uses a lot of battery life. 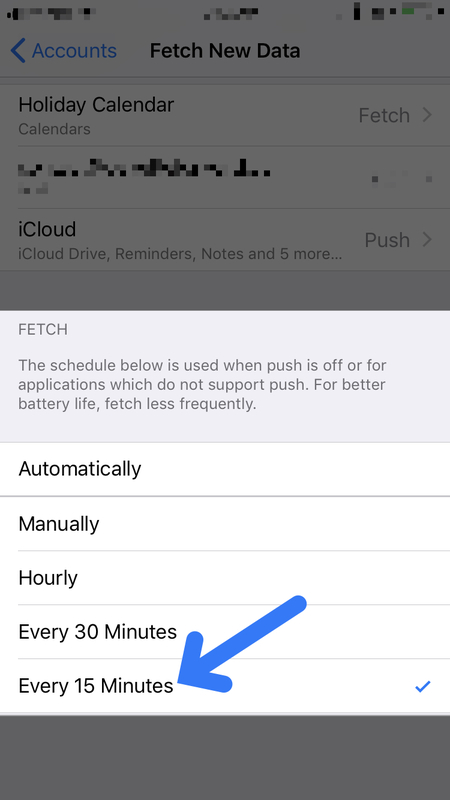 A few years ago (and after a lot of people complained), Apple included a new section of Settings called Battery. It displays some useful information, but it won’t help you fix anything. 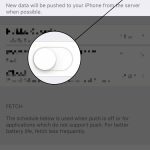 I rewrote this article to improve iOS 12 battery life, and if you take these suggestions, I promise your battery life will improve, whether you have an iPhone 5s, iPhone 6, iPhone 7, iPhone 8, or iPhone X.
I recently created a YouTube video to go along with the iPhone battery fixes I explain in this article. Whether you prefer to read or watch, you’ll find the same great information in the YouTube videos that you’ll read in this article. 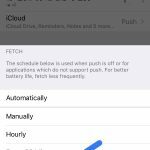 Our first tip is a truly a sleeping giant and there’s a reason it’s #1: Fixing Push Mail can make a tremendous difference in the battery life of your iPhone. When your mail is set to push, it means that your iPhone maintains a constant connection to your email server so that the server can instantly push the mail to your iPhone as soon as it arrives. Sounds good, right? Wrong. 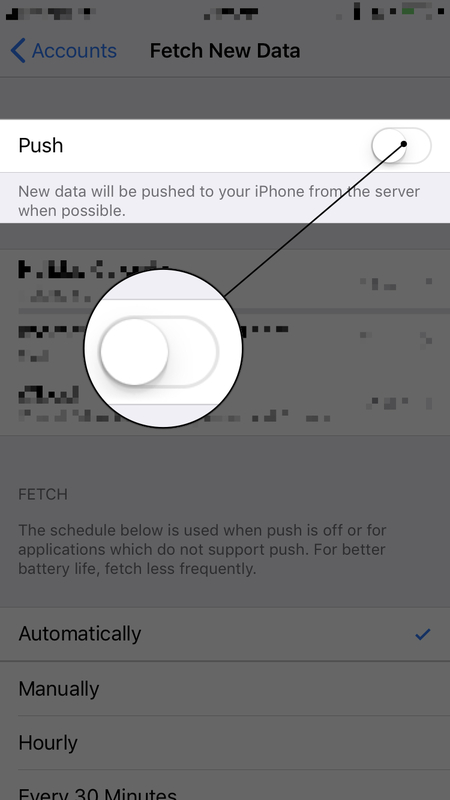 An Apple lead genius explained it to me like this: When your iPhone is set to push, it’s constantly asking the server, “Is there mail? Is there mail? Is there mail?”, and this flow of data causes your battery to drain very quickly. Exchange servers are the absolute worst offenders, but everyone can benefit from changing this setting. 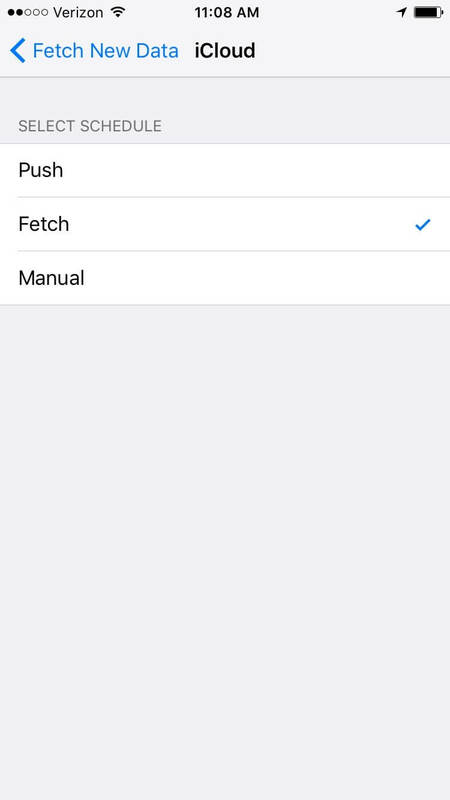 To fix this problem, we’re going to change your iPhone from push to fetch. You’ll save a lot of battery life by telling your iPhone to check for new mail every 15 minutes instead of all the time. Your iPhone will always check for new mail whenever you open the Mail app. 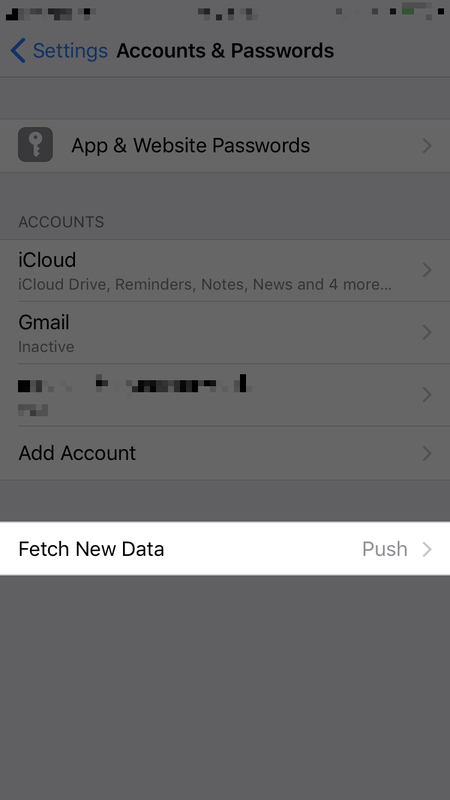 Go to Settings -> Accounts & Passwords -> Fetch New Data. Turn off Push at the top. Scroll to the bottom and choose Every 15 Minutes under Fetch. 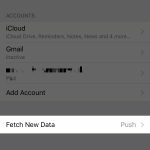 Tap on each individual email account and, if possible, change it to Fetch. Most people agree that waiting a few minutes for an email to arrive is worth the significant improvement in your iPhone’s battery life. 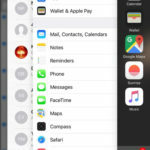 As an aside, if you’ve been having problems syncing contacts or calendars between your iPhone, Mac, and other devices, check out my other article called Why Are Some Of My Contacts Missing From My iPhone, iPad, or iPod? Here’s The Real Fix! Location Services are part of what makes the iPhone such a great device, so I’d like to be clear: I don’t recommend that you turn off Location Services entirely. I’ll show you the hidden services that constantly drain your battery, and I’m willing to bet you’ve never even heard of most of them. I believe it’s important for you to choose which programs and services can access your location, especially given the significant battery drain and personal privacy issues that come with your iPhone, right out of the box. Tap Share My Location. 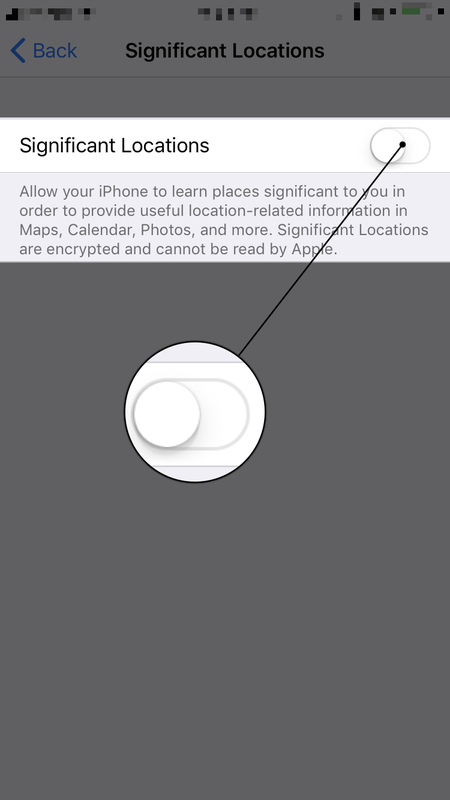 If you want to be able to share your location with your family and friends in the Messages app, then leave this on, but be careful: If someone wanted to track you, this is how they’d do it. Scroll all the way to the bottom and tap System Services. Let’s clear up a common misconception right away: Most of these settings are all about sending data to Apple for marketing and research. When we turn them off, your iPhone will continue to function just as it always has. 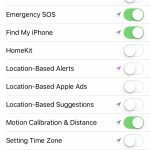 Turn off everything on the page except Emergency SOS, Find My iPhone (so you can locate it if it’s lost) and Motion Calibration & Distance (if you’d like to use your iPhone as a pedometer – otherwise, turn that off too). Your iPhone will work exactly as it had before. The compass will still work and you’ll connect to cell towers just fine — it’s just that Apple won’t be receiving data about your behavior. Tap Significant Locations. Did you know your iPhone has been tracking you everywhere you go? You can imagine the excess strain this puts on your battery. I recommend you turn off Significant Locations. Tap <System Services to return to the main System Services menu. Turn off all the switches under Product Improvement. These only send information to help Apple improve their products, not make your iPhone run more efficiently. Scroll to the bottom and turn on Status Bar Icon. That way, you’ll know your location is being used when a little arrow appears next to your battery. If that arrow is on all the time, there’s probably something wrong. 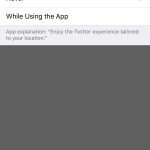 Tap <Location Services to go back to the main Location Services menu. 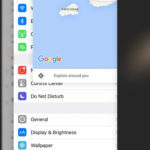 Turn off Location Services for apps that don’t need to know where you are. 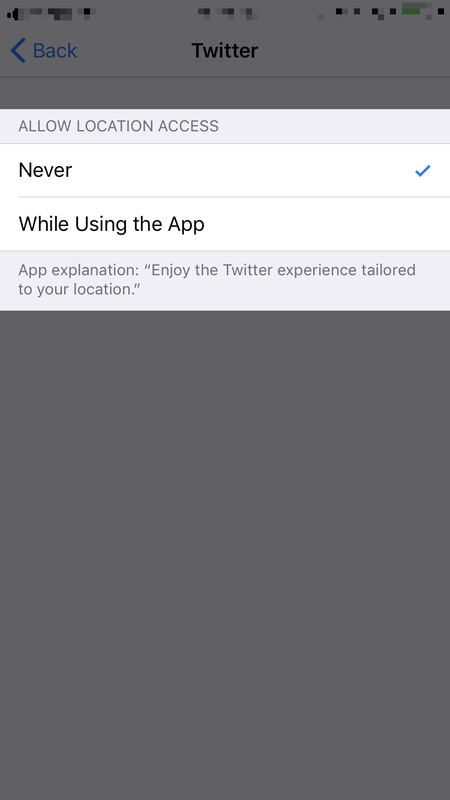 What you need to know: If you see a purple arrow next to an app, it’s using your location now. 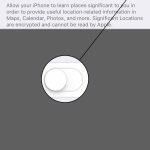 A gray arrow means it’s used your location within the last 24 hours and a purple-outlined arrow means it’s using a geofence (more about geofences later). Pay attention to any apps that have purple or gray arrows next to them. Do these apps need to know your location to work? If they do, that’s absolutely fine – leave them alone. If they don’t, tap on the name of the app and choose Never to stop the app from unnecessarily draining your battery. 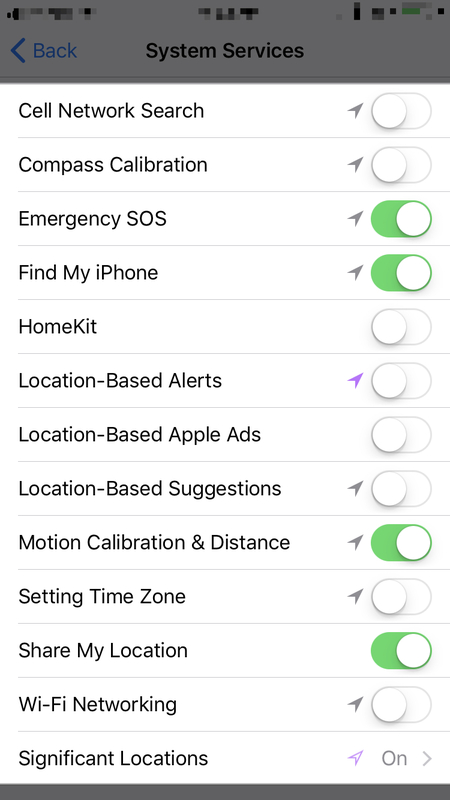 I don’t recommend using apps that use geofencing or location-based alerts because of the number of cases I’ve seen where people couldn’t make it through a full day without needing to charge their iPhone – and geofencing was the reason. Here’s a quick one: Head to Settings -> Privacy, scroll to the bottom, and open Analytics. 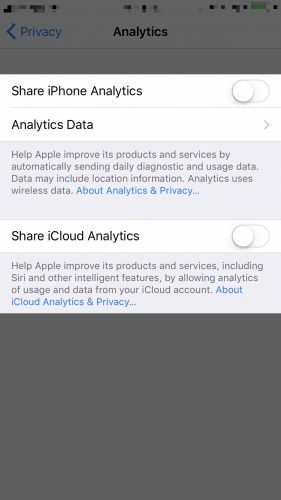 Turn off the switch next to Share iPhone Analytics and Share iCloud Analytics to stop your iPhone from automatically sending data to Apple about how you use your iPhone. Once every day or two, it’s a good idea to close out your apps. In a perfect world, you would never have to do this and most Apple employees will never say you should. But the world of iPhones is not perfect — if it were, you wouldn’t be reading this article. Don’t Apps Close When I Go Back To The Home Screen? No, they don’t. They’re supposed to go into a suspended mode and stay loaded in memory so that when you reopen them, you pick up right where you left off. We don’t live in iPhone Utopia: It’s a fact that apps have bugs. A lot of battery drain issues occur when an app is supposed to close, but doesn’t. Instead, the app crashes in the background and your iPhone battery beings to drain without you even knowing it. A crashing app can also cause your iPhone to get hot. If that’s happening to you, check out my article called Why Does My iPhone Get Hot? to find out why and fix it for good. Double-click the Home Button and you’ll see the iPhone app switcher. 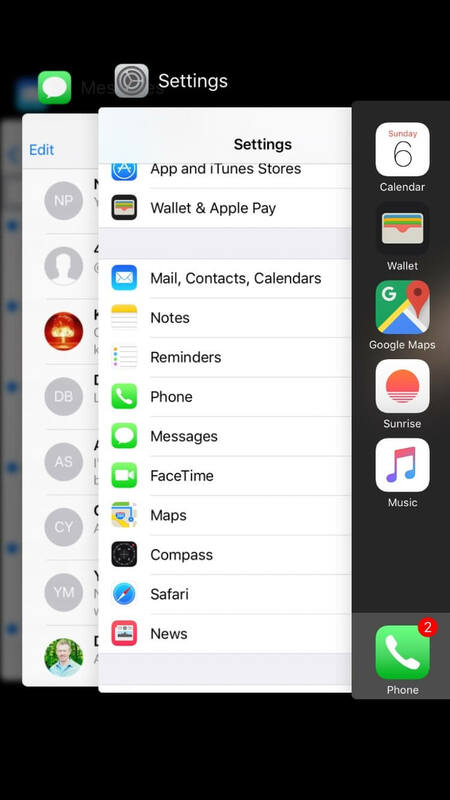 The app switcher allows you to see all the apps that are stored in the memory of your iPhone. To browse through the list, swipe left or right with your finger. I bet you’ll be surprised by how many apps are open! 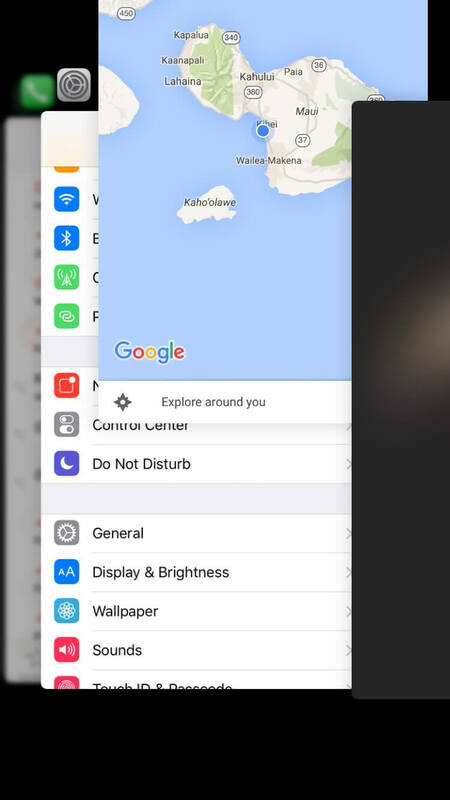 To close an app, use your finger to swipe up on the app and push it off the top of the screen. Now you’ve really closed the app and it can’t drain your battery in the background. Closing out your apps never deletes data or causes any negative side-effects – it can only help you get better battery life. How Do I Know If Apps Have Been Crashing On My iPhone? Everything Seems Fine! If you’d like proof, go to Settings -> Privacy -> Analytics -> Analytics Data. It’s not necessarily a bad thing if an app is listed here, but if you see a lot of entries for the same app or any apps listed under LatestCrash, you might have a problem with that app. Recently, I’ve seen articles that say closing out your apps is actually harmful to iPhone battery life. My article called Is Closing iPhone Apps A Bad Idea? No, And Here’s Why. explains both sides of the story, and why closing out your apps really is a good idea when you look at the big picture. Notifications: OK or Don’t Allow? We’ve all seen the question before when we open an app for the first time: “App Would Like To Send You Push Notifications”, and we choose OK or Don’t Allow. Few people realize how important it is to be careful about which apps you say OK to. 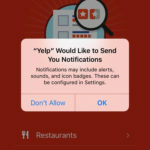 When you allow an app to send you Push Notifications, you’re giving that app permission to keep running in the background so that if something happens that you care about (like receiving a text message or your favorite team winning a game), that app can send you an alert to let you know. Notifications are good, but they do drain battery life. We need to be notified when we receive text messages, but it’s important for us to choose which other apps are allowed to send us notifications. If the answer is yes, leave everything as it is. 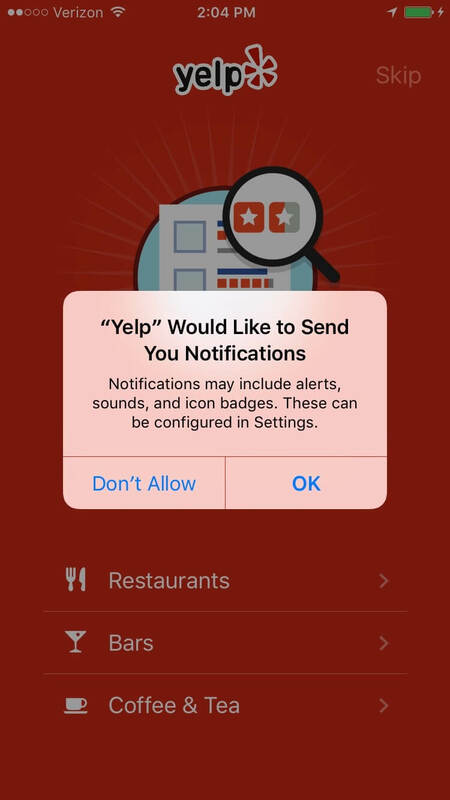 It’s absolutely fine to allow some apps to notify you. If the answer is no, it’s a good idea to turn off notifications for that app. 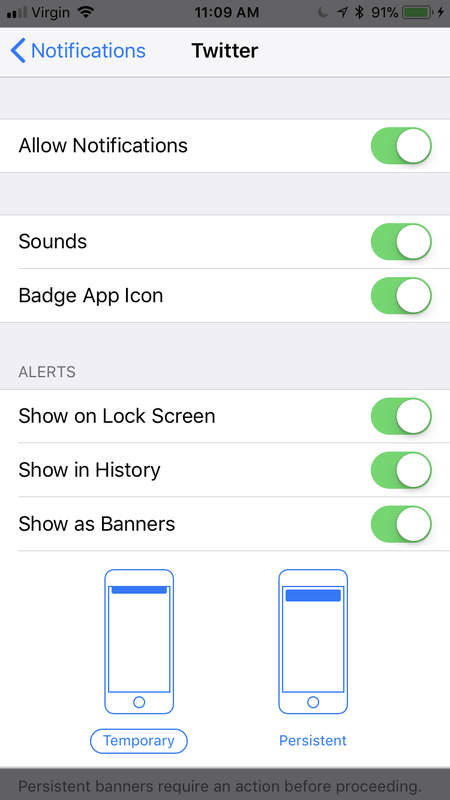 To turn off notifications, tap the name of the app and turn off the switch next to Allow Notifications. There are other options in here too, but they don’t affect your iPhone’s battery life. It only matters if notifications are off or on. 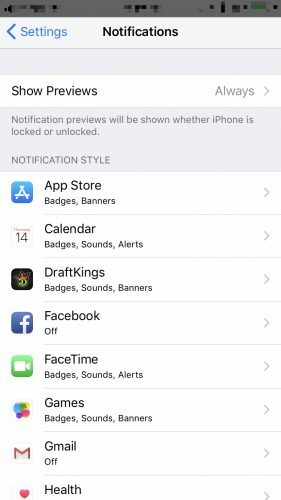 Widgets are little “mini-apps” that continually run in the background of your iPhone to give you easy access to up-to-date information from your favorite apps. Over time, you’ll save a significant amount of battery life by turning off the widgets you don’t use. If you never use them, it’s OK to turn them all off. To access your widgets, tap the Home button to go to your iPhone’s Home screen and swipe from left to right until you get to widgets. Then, scroll down and tap the circular Edit button. Here you’ll see a list of the widgets you can add or remove on your iPhone. To remove a widget, tap the red minus button to its left. It’s a simple tip but important nonetheless: Turning your iPhone off and back on again once a week can resolve hidden battery-life issues that accumulate with time. Apple would never tell you that because in iPhone Utopia, it wouldn’t. In the real world, powering off your iPhone can help resolve issues with apps that have crashed or other, more technical problems that can occur when any computer has been on for a long time. A word of warning: Don’t hold down the power button and the home button at the same time to shut down your iPhone. This is called a “hard reset”, and should only be used when absolutely necessary. It’s akin to powering off a desktop computer by pulling the plug out of the wall. To power off your iPhone, press and hold the power button until “slide to power off” appears. 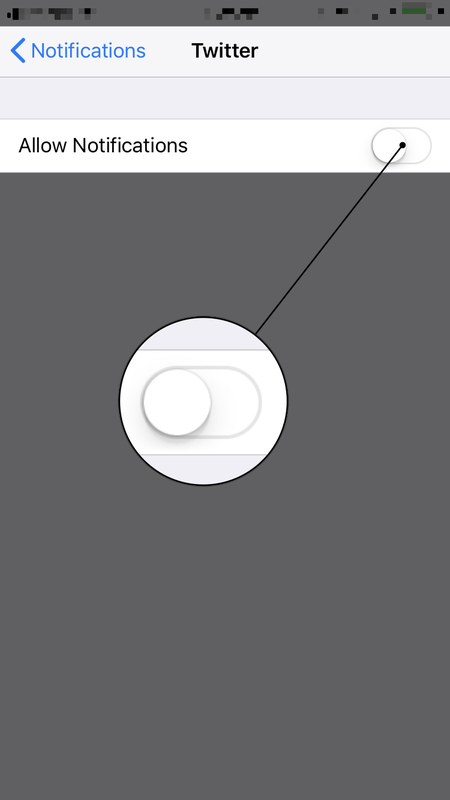 Swipe the circular power icon across the screen with your finger and wait as your iPhone shuts down. It’s normal for the process to take several seconds. Next, turn your iPhone back on by pressing and holding the power button until you see the Apple logo appear. 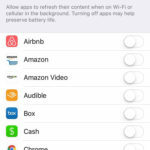 Certain apps on your iPhone are allowed to use your Wi-Fi or cellular data connection to download new content even when you’re not using them. 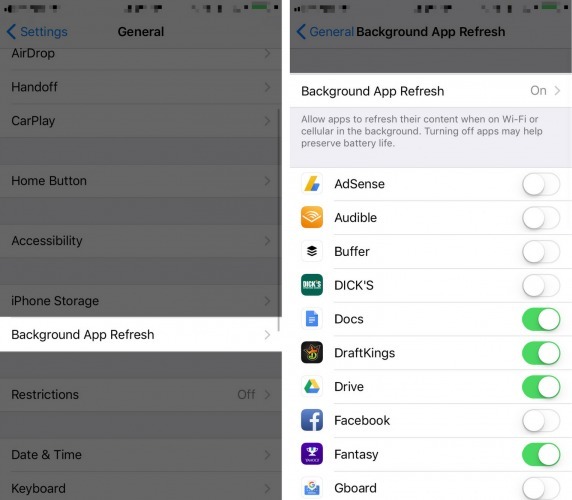 You can save a significant amount of battery life (and some of your data plan) by limiting the number of apps that are allowed to use this feature that Apple calls Background App Refresh. Go to Settings -> General -> Background App Refresh. 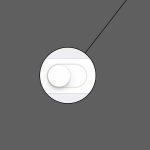 At the top, you’ll see a toggle switch that turns off Background App Refresh entirely. I don’t recommend you do this, because Background App Refresh can be a good thing for certain apps. 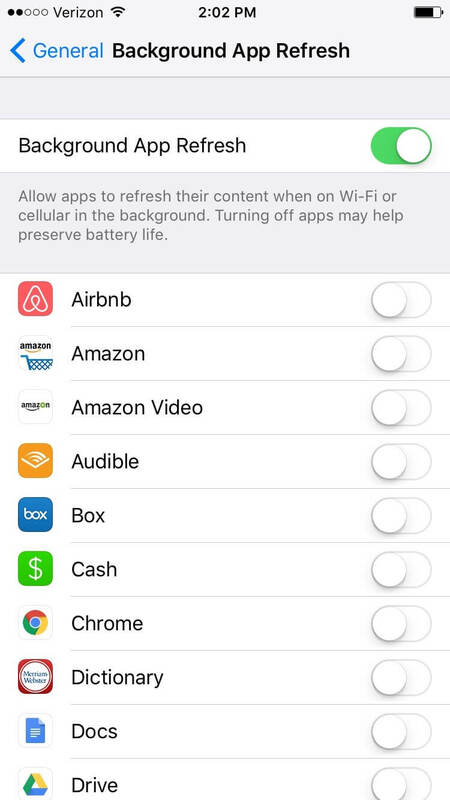 If you’re like me, you’ll be able to turn off almost every app on the list. As you scroll through each app, ask yourself this question: “Do I want this app to be able to download new information even when I’m not using it?” If the answer is yes, leave Background App Refresh enabled. If not, turn it off and you’ll be saving more battery life each time you do. According to Apple, the iPhone, iPad, and iPod are designed to work from 32 degrees to 95 degrees fahrenheit (0 degrees to 35 degrees celsius). What they don’t always tell you is that exposing your iPhone to temperatures above 95 degrees fahrenheit can permanently damage your battery. If it’s a hot day and you’re going for a walk, don’t worry about it — you’ll be fine. What we’re talking about here is prolonged exposure to extreme heat. Moral of the story: Just like your dog, don’t leave your iPhone in a hot car. (But if you had to choose, save the dog). Can Cold Weather Damage My iPhone Battery? Low temperatures won’t damage your iPhone battery, but something does happen: The colder it gets, the faster your battery level drops. If the temperature gets low enough, your iPhone might stop working entirely, but when it warms up again, your iPhone and battery level should return to normal. One quick way to prevent battery iPhone battery drain is by making sure auto-lock is turned on. 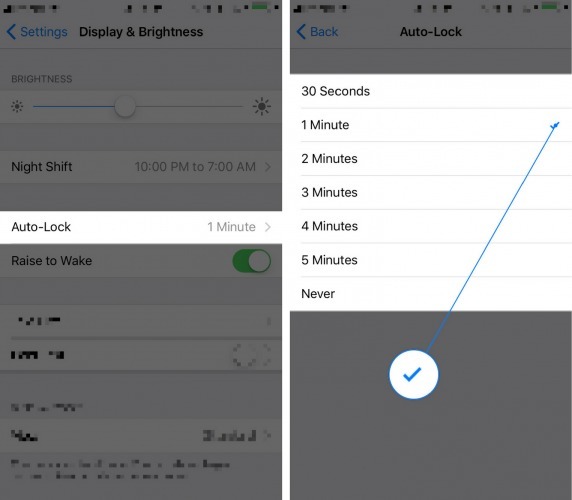 Open the Settings app and tap Display & Brightness -> Auto-Lock. Then, select any option other than Never! This is the amount of time you can leave your iPhone on before the display turns off and goes into sleep mode. iPhones are beautiful, from the hardware to the software. We understand the basic idea of manufacturing the hardware components, but what allows the software to display such beautiful images? Inside your iPhone, a tiny piece of hardware built into the logic board called a Graphics Processing Unit (or GPU) gives your iPhone the power to display its beautiful visual effects. The problem with GPUs is that they’ve always been power-hungry. The fancier the visual effects, the faster the battery dies. By reducing the strain on your iPhone’s GPU, we can significantly increase the life of your battery. 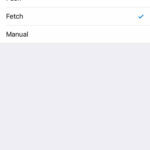 In iOS 12, you can accomplish everything I used to recommend in a few different tips by changing one setting in a place you probably wouldn’t think to look. 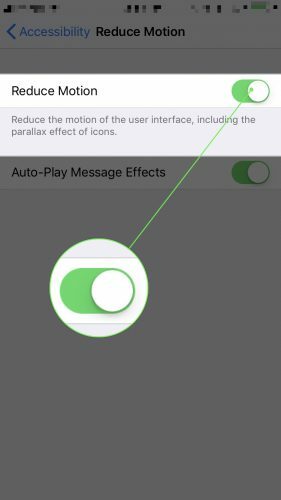 Go to Settings -> General -> Accessibility -> Reduce Motion and tap the switch to turn it on. Aside from the parallax wallpaper effect on the home screen, you probably won’t notice any differences and you’ll save a significant amount of battery life. At this point, you’ve waited a day or two and your battery life still hasn’t improved. It’s time to restore your iPhone. We recommend doing a DFU restore. After the restore is finished, we recommend restoring from an iCloud backup if you can. Let me be clear: Yes, you need to use iTunes to restore your iPhone — there’s no other way. We’re talking about the way you put your data back on your iPhone after it’s been restored to factory settings. Some people are confused about exactly when it’s safe to disconnect your iPhone from your computer. As soon as you see the ‘Hello’ screen on your iPhone or ‘Set Up Your iPhone’ in iTunes, it’s absolutely safe to disconnect your iPhone. Next, use the menus on your phone to connect to Wi-Fi and restore from your iCloud backup. If you’ve been having trouble backing up to iCloud and especially if you’re run out of storage, check out my article that’s all about how to fix iCloud backup. Aren’t iCloud Backups and iTunes Backups Essentially The Same? Yes, iCloud backups and iTunes backups do contain essentially the same content. The reason I recommend using iCloud is that it takes your computer and any problems it may have completely out of the picture. If you’ve tried absolutely everything and you’re still having trouble, you may have a deeply-rooted software issue that can only be resolved by restoring your iPhone to factory settings and setting it up again as if it were brand new. It’s not all bad. You’ll add your iCloud and other mail accounts to your iPhone as you set it up. Your contacts, calendars, notes, reminders, and bookmarks are often stored in those accounts, so all of that information should come right back. What you will have to do is redownload your apps, reconfigure Wi-Fi and other settings, and transfer your photos and music back to your iPhone. It’s not that much work, but it does take some time to get everything back the way you like it. To restore your iPhone to factory settings, open Settings -> General -> Reset -> Erase All Content and Settings. 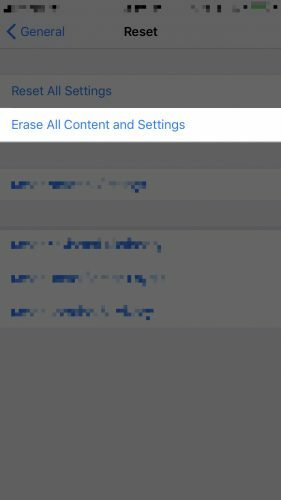 Enter your passcode, then tap Erase iPhone to confirm your decision. In the beginning of this article, I mentioned that the vast majority of issues related to iPhone battery life come from software, and that’s absolutely true. There are a few instances where a hardware issue can cause problems, but in almost every case the problem isn’t with the battery. Drops and spills can cause damage to internal components that are involved in charging or maintaining the charge on your iPhone. The battery itself is designed to be quite resilient, because if it were punctured it could quite literally explode. 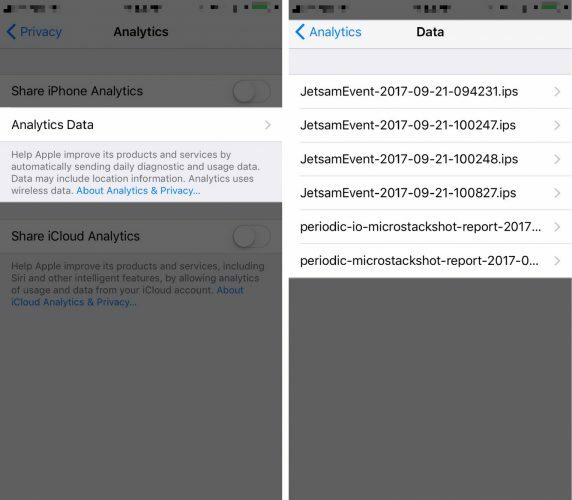 When you bring your iPhone to an Apple Store to be serviced, Apple techs run a quick diagnostic that reveals a fair amount of information about the overall health of your iPhone. One of these diagnostics is a battery test, and it’s pass/fail. In all my time at Apple, I believe I saw a total of two iPhones with batteries that did not pass that test — and I saw a lot of iPhones. If you’re sure you have a battery problem and you’re looking for a less-expensive battery replacement service than Apple, I recommend Puls, a repair service that will come to you at your home or office and replace your battery while you wait, in as little as 30 minutes. I sincerely hope that you have enjoyed reading and learned from this article. Writing it has been a labor of love, and I’m grateful for each person that reads it and passes it on to their friends. If you’d like to, leave a comment below — I’d love to hear from you. 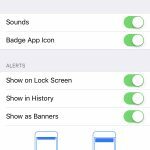 Previous ArticleHow Do I Change The Ringtone On An iPhone? The Real Fix. Next Article How Do I Record A Voice On An iPhone? Here’s The Solution!